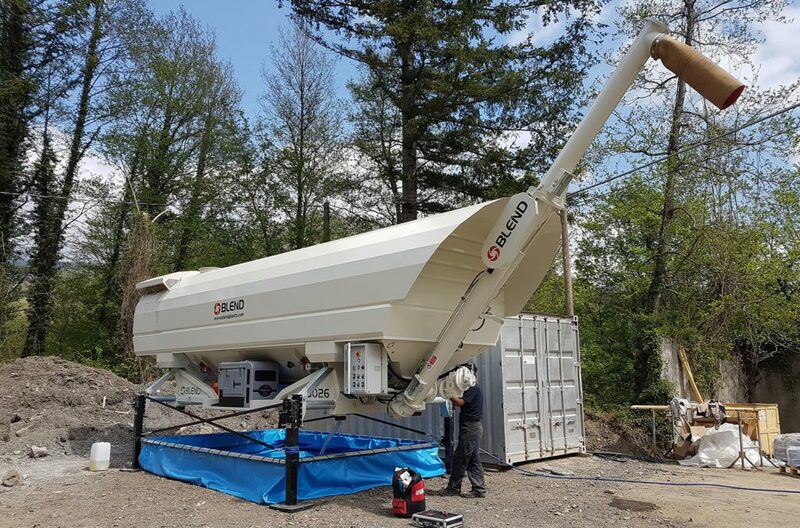 Our horizontal silos are the ideal completion for the mobile concrete mixing plant BLEND. They are extremely versitile, manageable and movable. You don’t need any authorization for the installation because there is no need of building works, it is sufficient to have a flat ground adequately solid. Thanks to the lifting blinde (upon request) they can be loaded and unloaded without cranes and/ or other means. 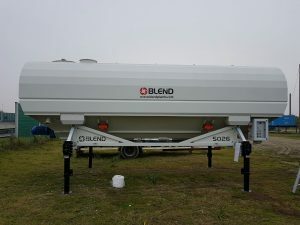 The horizontal silo can be provided in its version with weighing cells. 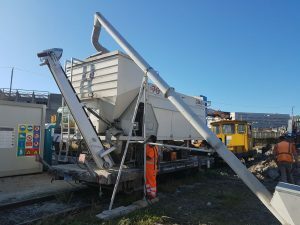 When the BLEND mobile plant is temporally used as a concrete batching plant it is possible to connect its control unit with the silo one. In this way you don’t need to stop the plant during cement loading with an increase in concrete production. 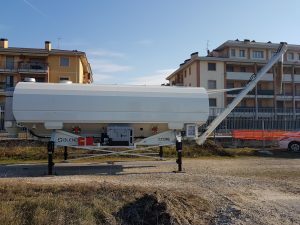 In addition, thanks to its weighing cells, it is possible to keep under control the quantity of obtained cement and the residual one. 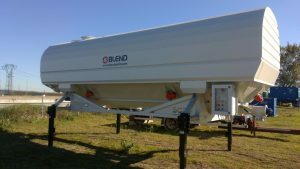 If you prefere to use for long time the mobile BLEND plant as batching plant, you can choose one of our vertical silos. It is a cheaper and efficent solution.